I am an organisational psychologist who researches, teaches, and also consults with public- and private-sector organisations on a range of topics related to the psychology of work. My consulting projects have included tackling issues with personnel selection, training and development, career development, work (re)design, change management,​ and operational safety. Through this work, I aim to help organisations and their employees devise new strategies to carefully balance being productive and healthy. 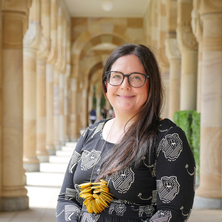 I completed my PhD in 2012 and joined the UQ School of Psychology in 2013, following a postdoctoral research position at QUT School of Management. My research focuses on occupational health psychology and work motivation. Topics I study include, but are not limited to: the moment-to-moment physiological impact of work stress (i.e., on cortisol levels, heart rate variability); how employees manage their energy during the work day; how employees recover from work stress in off-the-job time; how jobs and careers can be designed to maximise well-being, motivation, and performance; and I also explore the 'hidden costs' of performance-based pay and compensation systems. Norton, Thomas A., Parker, Stacey L., Davis, Matthew C., Russell, Sally V. and Ashkanasy, Neal M. (2018). A virtuous cycle: how green companies grow green employees (and vice versa). In Victoria K. Wells, Diana Gregory-Smith and Danae Manika (Ed. ), Research handbook on employee pro-environmental behavior (pp. 210-228) Cheltenham, United Kingdom: Edward Elgar. What about the kids? Working parents, Spillover, and Children's Wellbeing. Nguyen, H., Ashkanasy, N., Li, Y. and Parker, S. L. (2016). Affect and coping in response to abusive supervision: the role of employees’ implicit leader theories. In: Proceedings of the 29th Australian New Zealand Academy of Management Conference. 29th Australian New Zealand Academy of Management Conference, Queenstown, New Zealand, (). 2-4 December 2015. Parker, Stacey Louise (2012). Work stress and self-determination: a person-environment fit explanation of strain and motivation PhD Thesis, School of Psychology, The University of Queensland. Self-determination theory and workplace diversity: An investigation of the relationship between initiatives, motivations and diversity success.